This subject is a difficult subject for me personally. Over the years, I have planted many things for customers or friends who have experienced a personal loss. Although this time, it happens to be for my own personal healing. I am one of the lucky ones who have had the opportunity to work with my Dad, and truly enjoyed it. My Dad helped me learn many different aspects of running a business. For example: how to make logical decisions when the situation seems illogical, how to be a good friend, and most of all, how to be a great father. Unfortunately, my Dad unexpectedly passed away. We were far from being ready to understand this loss. My Mom, siblings, those close to us, could not believe it. Even to this day as I write this, I still cannot believe that he is gone. At my Dad’s memorial service, a family friend had recommended that I make a memorial garden for my Dad. A ‘Memorial Garden,’ I asked myself? I did some research, a lot of thinking, plenty of planning, and found that the process became very beneficial and healing. About six months prior to my Dad’s passing, we were planning on renovating a patio space at our company’s display. I had the location and the need to do something special. With the assistance of our supplier, Unilock Chicago, we were able to put together some materials. We constructed an organic shaped patio out of Bristol Valley Brick Pavers along with a Seat Wall and Pillar combination out of Estate Wall. The placement of the patio is adjacent to a waterfall that I constructed years ago for my Dad, which was placed within his view of the office window. He thoroughly enjoyed watching the birds playing and bathing in the water. I added several beautiful Serbian Spruce trees as a backdrop and installed mossy stone outcroppings as terracing. In addition, we added many shrubs and perennials as fillers to provide color and interest through the growing season. 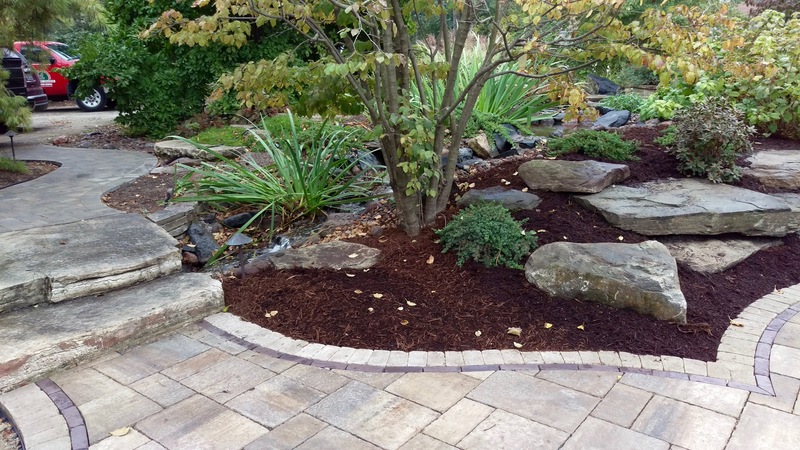 Landscape Creations is an authorized Unilock contractor. I frequently go out to visit my garden to admire the beauty and to gather or sort through my thoughts. Every day, my garden is there to greet me when I come into work. It makes me feel good, giving me the feeling that my Dad is right by my side. This short video will give you an idea of how the process evolved. Since the loss of a friend or family member can be difficult to process and understand, we hope this information will enable you to create a special Memorial Garden that can help heal your heart and soul. 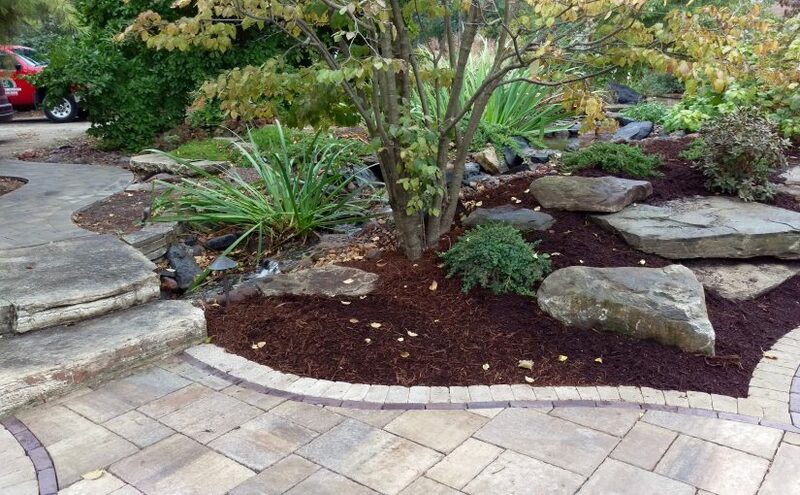 This blog post was personally composed by Rick MacRoy, owner of Landscape Creations in Lombard, Illinois.